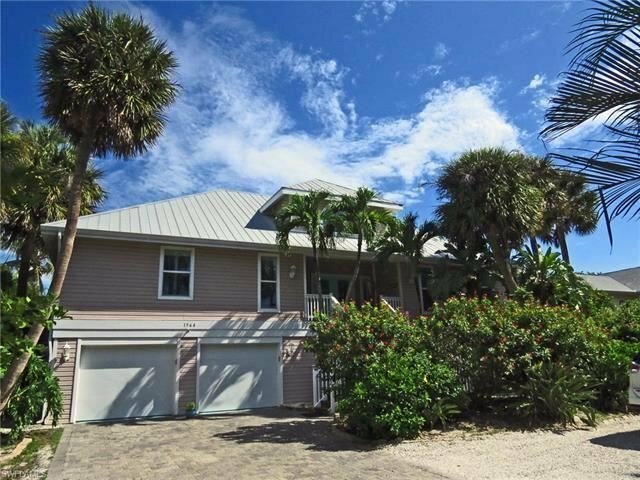 This near beach beauty is in impeccable condition throughout. It affords volume ceilings, expansive views of the Sanibel River and lies just a few steps from the beach. Outstanding details include a lovely pool, hot tub, granite countertops, oversized refrigerator, custom light fixtures, and large decks with spectacular water views. The home is being sold completely furnished and would make an ideal second home or a great vacation rental. Impact rated windows and garage doors add an element of security to the home as does the metal roof and hurricane shutters. Don't miss seeing this delightful home.